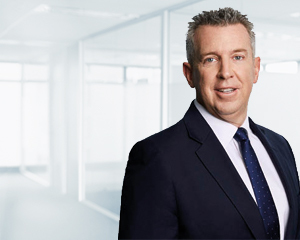 As one of the pioneers of Dixon Advisory’s supported self managed super fund (SMSF) service, Robert Turner supports and integrates new Canberra-based clients to optimise their family wealth for retirement and is responsible for the operations of the firm’s SMSF accounting and administration team in national capital. Robert attributes the growing popularity of SMSFs to the fact that people want to be more involved in managing their retirement wealth. He says, “We provide a fantastic service at a premium standard. I talk to people about the financial issues they are facing and help them understand how we can help them and what services would be of most benefit to them”. The Canberra native was the firm’s first accountant and established the SMSF administration service. He was integral in building the award-winning service to its leading reputation today. He says, “We recognised that people wanted to be in control of their own retirement plans. They want to be decision makers but don’t want to deal; with all the paperwork, compliance and administration. The whole name of ‘self managed super fund’ can sound scary but we ensure that being a trustee of your own superannuation is not a difficult or onerous task”. Before joining Dixon Advisory, Robert worked for one of the Big Four banks in accounting, and financial roles and for an accounting firm providing services to individuals, partnerships, companies, trusts and superannuation funds. Robert holds a Bachelor of Commerce from the University of Canberra. He is a CPA and a Specialist Member of the SMSF Association (SSA).